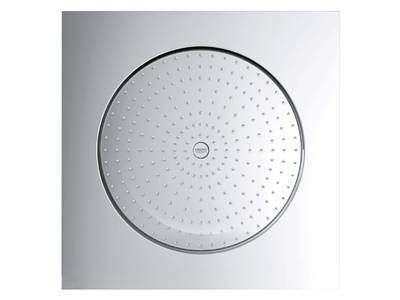 Revitalizing first thing in the morning, re-energizing after sports, relaxing at the end of the day – Rainshower® F-Series turns your bathroom into a recreation zone. Sophisticated and understated, luxurious and resolutely modern; the ultra-flat panels blend seamlessly into your bathroom architecture. From the flush, ceiling-mounted head shower to body showers that can be individually calibrated, the collection indulges and inspires in equal measures. 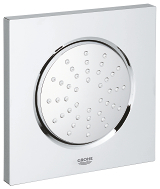 For those who take showering seriously and understand the restorative qualities of water, the Rainshower® F-Series wins hands down. 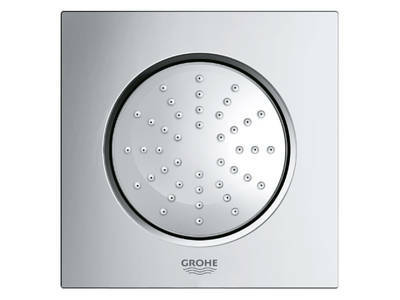 The Rainshower® F-Series Multi Spray 15“ adds a whole new dimension of customization to private spas. 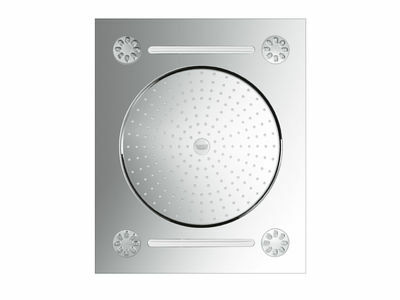 The new metal head and ceiling shower, a piece of GROHE high-quality engineering, features three different spray patterns for gentle vitalization: the classic 300 mm wide Rain Spray, a stressreducing massage using 4 integrated GROHE Bokoma Sprays™ or a double refreshing XL Waterfall spray well known from luxurious saunas. 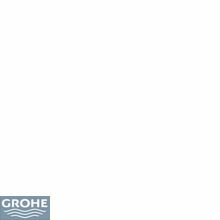 In keeping with the modular concept behind the GROHE F-Series, GROHE Rainshower® F-Series Multi Spray 15“ can be combined or complemented to perfection with other products from the GROHE F-Series such as Grohtherm F, F-digital Deluxe or other F-Series showers from GROHE. 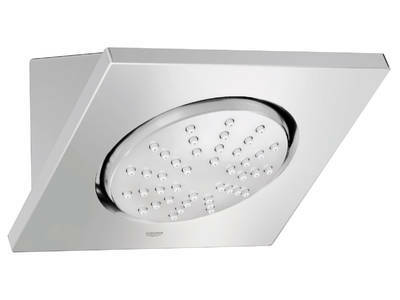 Rainshower® F-Series Multi Spray 15"